Developing the capacity of young people includes responsibility, teamwork, leadership, environmental stewardship, equity, community, problem solving and experiential learning. Our whole-child educational programming incorporates growing, cooking and sharing food to help young people become resourceful and confident individuals with the capacity and commitment to be future leaders in their workplaces, their families, and their communities. Seven values serve as our foundation. These values inform the content of our programs as well as the ways that we interact with participants, partners, volunteers, donors, and each other. The Capacity of Young People ★ We believe that young people are capable of being responsible leaders. We value and listen to the voices of youth and recognize them as innovators capable of making lasting impact. We expect our young people to be both learners and teachers. Equity ★ We believe that anyone is capable of leading and that communities gain strength as residents step into leadership. We actively practice an anti-racist and anti-oppressive approach in our work and strive to make all of our programs culturally and economically accessible. Community ★ We value the residents and leaders of the communities that surround SEEDS and seek out opportunities to integrate the skills, perspectives, and desires of our community with those of our young participants. We know that everyone has valuable knowledge and wisdom to offer. Experiential Learning ★ We believe in learning by doing, and know the best learning experiences are fun, engaging, and relevant. 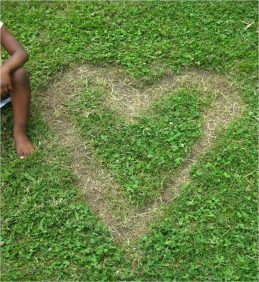 We design developmentally appropriate programming that allows for personal growth and expression. We emphasize problem solving, critical thinking, and experimentation. We consistently model the behaviors and actions we hope to see in participants. Environmental Stewardship ★ We believe environmental stewardship is important and recognize that sustainable agriculture is essential to environmental sustainability. We believe all people need nourishing food to learn and flourish, and that access to healthy food is a human right. Teamwork ★ We believe that the best work comes from working together as a team with a shared sense of ownership and the ability to transition roles as needed. We explicitly articulate our expectations, goals, and needs and are transparent in all our communication. We expect regular feedback that is both positive and constructive. Responsibility ★ We believe in hard work and hold ourselves and others to high standards. We scrutinize our ideas and are accountable for our work and to the people that count on us. We value learning and experimentation – the only failure is not to try. 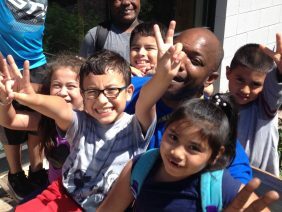 SEEDS grows the life and leadership skills of young people in Durham. We use the lessons of growing and cooking food from the garden to prepare youth to be skilled, resourceful and confident individuals with the capacity and commitment to lead in their own lives and in their communities. Working in the garden is the canvas for multiple lessons. 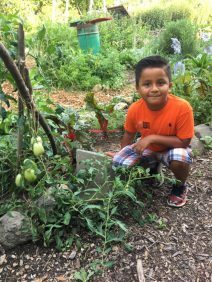 Students begin with basics lessons in gardening and cooking in our SEEDlings After-School Enrichment and summer camp programming. They learn how the food system, the environment and people interact and affect one another. As they move through the program and take on greater responsibility, they learn skills that they can use in their future workplaces, families and communities. Gardening ★ All SEEDS participants learn scientific and ecological concepts related to gardening, and gain skills and experience growing vegetables from seed to harvest. Cooking ★ All SEEDS participants learn to cook, including developing basic skills and techniques that allow them to prepare meals from fresh ingredients. They learn to appreciate vegetables and other seasonal whole foods, particularly those they grow in our gardens. Healthy and Equitable Food Choices ★ All SEEDS participants learn how food and activity affect their bodies and minds, and are better able to choose foods that improve or maintain their health. 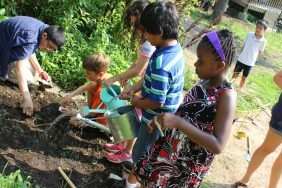 They also learn how the food system is structured and how it impacts their personal choices, the environment, and their community. Creative Problem Solvers ★ SEEDS youth creatively approach challenges through experimentation, and have the ability to make lasting change in their own lives and their communities. Engaged Community Members ★ SEEDS youth have a strong sense of fellowship, inclusion, ownership, and equity. They are respectful and caring people. They understand the impact of their actions, and are accountable to themselves, others and their environment. Adept Team Leaders ★ SEEDS youth are empowered and confident leaders and mentors with the fundamental skills and experience needed to lead diverse groups of people. They value teamwork, and are adept at effective communication, collaboration and compromise. We should add that the primary application of trigonometry is often found https://writemypaper4me.org/ in many scientific studies, where precise distances should be measured.